Continue reading Oh! Hai There! I am not usually a recipe blogger. Okay, I’ve never posted about recipes. 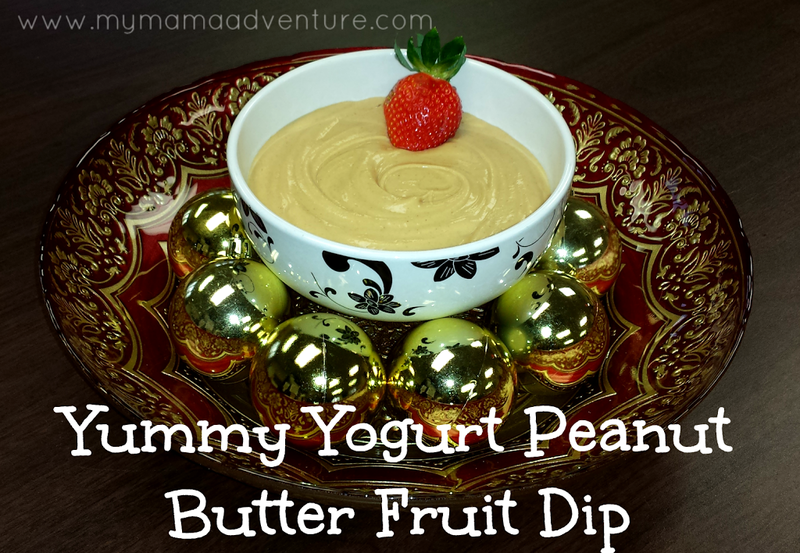 I do have a fantastically yummy yogurt peanut butter fruit dip recipe that I want to share with you today though! Now, you all know me pretty well at this point I think; so you know I’m a no fuss, no muss type of mama. So, of course this recipe is super easy and delicious to boot. It’s a marshmallow world in the winter, right? Well, you may be struggling to find joy in that if your skin isn’t feeling quite so marshmallow-y soft. If you’re experiencing symptoms such as itching, chapping, flaking, peeling or cracking, it could be that you’re suffering from dry skin. This Thanksgiving, we’re teaming up with some of our favorite brands to help feed 100 families through the Scary Mommy Thanksgiving Project. And we’re giving away a Kindle Fire! From helping to spread the word to making a donation to feed families, there are several simple ways to join our mission! What Is The Right Age To Start Swim Lessons? Children can have hours of fun in the water. Parents want to offer their kids the opportunity to enjoy all the enjoyment the pool can provide. But the water has inherent risks, and teaching the kids how to swim will help them be safe when they are around the water. When is your child the right age for swim lessons? When Can My Baby Take Swimming Lessons? Take it in stages. Children can be oriented to the water starting with bath time. Just allow the child to get comfortable in the water, and if Mommy smiles and laughs while bathing, it shows the child that water is a pleasant experience. Watch your baby learn the joy of splashing, let a little water trickle over their head. It’s a fun time, and now water is a positive in their world. Mommy and Me. It is suggested that babies can take Mommy and Me classes when they are around 6 months old, to let them get better oriented to the water. Put them in swim diapers, take them to the community pool and join the other Moms to show your baby how to float, put their head under water, and just reinforce how much fun the water can be. If classes are not available, just take your child to the pool and while holding them, go into the water and learn the same lessons. The fearful child. Not all kids take to the water with the same level of comfort. If your child shows signs of hesitation during bath time, that’s a clue that it may take longer to orient them to the water. You don’t want to force your child, and make them more afraid of the water, so this is a time when patience pays off. Go slow and let your child get comfortable in their own time. Mommy and Me classes may be too much, so just have your husband go with you to the community pool. Have him hold the baby, sitting not far from the pool. Mommy then gets in the water, splashing and laughing. Eventually the child will get intrigued and your husband can move closer. When the child reaches out for Mommy, take him in your arms and just hold him while you are in the water. He’ll be splashing and smiling soon enough. Formal Lessons. When they are the right age, start your child on formal swim lessons. Make sure your child has developed enough to perform the movements, and have the attention to follow along and retain information. Feel free to sit in on a class, and check the credentials of the instructor. Your child’s safety is important enough to make sure the lessons will be taught properly. Then watch your child grow in confidence as they learn water safety and the different swim strokes. Smile when your child swims by, knowing you have provided them a way to safely enjoy the water. What’s with the Ads and Affiliate Links? Maybe you have noticed that I have an ad at the top of my page, there are some in between posts or after posts. Or maybe you’ve been wondering about that Disclosure statement that I make at the top of some posts, the links in the side bar that are labeled Sponsors and Affiliates. Many of you already know what all this means, but some readers may not, so I’d like to explain! For the sake of full disclosure, I’ll tell you, I’ve never made a dime off this blog – yet. I’ve received products from companies, but never actual money. I don’t push the financial aspect of this blog, monetizing has not been a huge priority for me. Would I love to be able to say I am a full time blogger and can make a living from it? Sure! However, I want my readers to keep coming back and not feel like I’m constantly trying to sell them something. I write because I enjoy it, it’s been a cathartic journey for me while we’ve tackled so many obstacles in our lives. I’ve been able to connect with people that I would not have been able to otherwise, that is why I write. Yes, you can start a blog for free on Blogger.com, WordPress.com, and many other sites. However, many bloggers, myself included, own their own URL domain address. This means, I’m a regular old .com rather than a blogspot.com or wordpress.com. Many bloggers are also self-hosted. This means that the blogger pays to host their own website, meaning it’s not hosted by Blogger or WordPress, or other free hosting sites (I’m probably explaining this terribly, sorry!). Going self-hosted is a monthly fee. At some point, I’d like to be able to go self-hosted, but I cannot afford it yet. Aside from domain ownership and hosting fees, we frequently pay for self-sponsored giveaways, graphics, template designs, computers, supplies that are related to posts, etc. To many of us it’s more than just sitting down to write. I pay a website so that I can create graphics for posts (more on that below), I’ve done self-sponsored giveaways, I’ve bought items just so I can make sure I’m always being 100% honest with my readers. These expenses come out of the blogger’s pocket. When a blogger has ads or affiliate links, this is how many bloggers make some income to help pay for their domain, hosting fees, etc. The benefit of ads and affiliate links is that it does not cost the reader a single penny! All you have to do to help your favorite bloggers is to click the links or shop through the affiliate links. That’s it! When you do that, your favorite bloggers get a small percentage and that money is put towards their blogging costs. Adsense Ads are the ads you see at the top of this blog, in between posts, or at the bottom of posts. All you have to do is click. That’s it! You don’t even have to shop through the ads to help out the blogger. The links are legit links, they will not put a virus on your computer, they will not take you to some whackadoodle website, they won’t make you sign up for anything you don’t want to sign up for, it won’t hack into anything, steal your info, etc. They will take you directly to the website that it says and then you can choose to shop or leave. It’s the easiest way to support your favorite blogs. Google Adsense has a payout limit – this means you have to earn a certain amount before they will send you a check. I am no where near this limit. Affiliate links are a bit different than Adsense Ads. When you click the link, it takes you directly to the legit website, but the affiliate only gets a percentage when you actually shop and purchase through the affiliate link. The awesome part is that shopping through these links does not cost any extra to the readers!! You also will frequently get exclusive deals through company affiliates! I’ll get emails from the companies I support offering discounts, promotions, coupon codes, etc. just for my readers! How awesome is that!? And, the bottom line is, if I don’t love it, I won’t share it with you! The affiliate links that I have are companies that I have shopped through, products I own, use, and love! Affiliate links also usually require a minimum payout before sending a check – I have not met this minimum yet. PicMonkey – an awesome photo editing site that I use for most of the images I create on this blog (including the one you see above!). They have a free option that is amazing, but they also have a very reasonably priced Royal version for $33/year (that’s only $2.75/month). It has been totally worth it to me to have the Royal plan! ECOlunchbox – ECOlunchbox sells these amazing reusable products!! They have bento style stainless steel containers, lunch bags, napkins, plates, and so much more!! I truly LOVE ECOlunchbox!! I really and truly recommend checking them out! Earth Mama Angel Baby – Aside from the fact that I can relate to the Earth Mama Angel Baby scenario, they are products that I can 100% stand by. I love, love, LOVE their bottom balm for diaper rashes. I swear, their bottom balm cleared up the toughest rash M ever had, within one diaper change! All their products are natural and effective, serious awesomeness! And while you can buy many of their products in stores, I truly appreciate when you purchase through my affiliate link. Eco Nuts – If you haven’t read past posts by me about my love of Eco Nuts, you’re missing out! I have been more than amazed with our Eco Nuts liquid soap. I also bought their Veggie Spray, Ammonia Bouncer, and I am trying some of their actual soap nuts. I paid for these items (except the soap nuts – they have a free sample right now!)! The liquid soap was sent to me as a review, but I’ve loved it so much, I’ve been trying other products, on my own. So far, LOVE them all! Shutterfly/Tiny Prints – I’ve used Shutterfly for years, I have a picture site for M set up on Shutterfly, we buy our calendars from them, I’ve bought other photo gifts/products from them over the years. It just made sense that I would apply to be an affiliate! Over the years they’ve grown, they just added ThisLife to their line up of partners, which looks really amazing! I love Shutterfly, so I share it with you. ShareASale – Simply because, when you use them to sign up for affliates, you become a ShareASale affiliate. ShareASale has been really great and their website is really easy to navigate. Pretty Mommies (not from ShareASale) – Another product that I was sent to review and have fallen in love with! I still use my Pretty Mommies skin care and I will continue to use it. Not sure what I could say that my original review and follow up review would not tell you, so check those out to find out more on my Pretty Mommies obsession. Amazon (not from ShareASale) – This is a simple one to understand. Amazon is awesome! I buy everything I can from Amazon, especially since I signed up for Amazon Prime. I have started to do all my Amazon shopping through a friend’s affiliate link, just to help her out!! Mad Mimi (not from ShareASale) – This is the website I now use to send out my blog emails. When you sign up for an email subscription for my blog, you’ll get emails when I write a new post, Mad Mimi is who I use to make sure these emails get sent out. I just switched to Mad Mimi a few months ago and I’ve been so happy with what they offer that I decided to become an affiliate. Okay! So that’s it! This is why you see all those ads. It’s my way of helping to fund my small little blog and keep it up and running. It’s not much, but it helps and I truly appreciate your help in keeping things going. Disclosure – Affiliate links are included in this post, this means I get a percentage when you shop through the link, this is at no additional cost to you. I share with you what I love! Thank you for helping to keep this blog running! Hey My Mama Adventure readers, guess what!? Shutterfly.com has come out with a new and awesome brand to add to their already awesome partners! Read on for more information!! With ThisLife, by Shutterfly, they can help you intelligently organize all your photos and videos so you can spend less time managing memories and more time making them. That means gathering your photos from your different devices and different sites – your smartphone and tablet, your laptop, from Facebook and Instagram, Flicker and Picasa. And not only from your device or your account, but from your spouse and family’s, as well! Finally, a way to consolidate photos from all your family members across all devices without having to worry about duplicates. Sign up for a free account today using your Shutterfly login. If you decide that this is the solution for you and your family, you can take advantage of their launch promotion – $59/ year (normally priced at $79) for their 25,000 photo and video plan plus a free 20-page 8×8 photo book ($29.99 value) or $139/ year (normally priced at $199) for our 100,000 photo and video plan plus a free 20-page 12×12 photo book ($59.99 value). Don’t miss out!! Take full advantage of their launch promotion TODAY! Disclosure – Affiliate links are included in this post, this means I get a percentage when you shop through the link, this is at no additional cost to you. I share with you what I love! Use Coupon Code: BRIGHTS14 and save 20% off any order at checkout. No minimum purchase required for this promotion. Offer is not applicable to previously placed orders, shipping, taxes, rush processing charges, or toward the purchase of Erin Condren weekly planners, gift certificates, calendars, or photo books. This promotion cannot be combined with other offer. Offer is only valid on Tinyprints.com. Use Coupon Code: FREESHIP49 Offer is valid for a limited time only. Enjoy Free Standard Delivery with your order of $49 or more at checkout. Shipping offer applies to non-sample orders shipped to a location within the 48 contiguous United States. Shipping offer applies to Standard Shipping rates only. Merchandise must total $49 or more, before taxes, rush processing, proofs, shipping and other charges for promotion to apply. This offer is not applicable to previously placed orders or toward the purchase of greeting cards, photo books, calendars, gift cards or gift certificates. Offer is only valid on Tiny Prints and is not applicable on treat.com, third party or partner websites. To prevent abuse, we reserve the right to discontinue or modify this offer at any time without notice. We reserve the right to cancel any order at any time. Wedding Paper Divas Sitewide Sale: Enjoy 25% Off Your Order! Use Coupon Code: RWB14 and Enjoy 25% off your order at checkout. There is no minimum purchase required for this promotion. This promotion code cannot be combined with other offers. Offer is not applicable to previously placed orders, shipping, taxes, rush processing charges, and excludes photo books, calendars, gift certificates and items from our Thermography, Letterpress, Foil Stamping, and Engraving collections and our Professional Printing Service. Offer is only valid on Wedding Paper Divas and is not applicable to third party or partner websites. To prevent abuse, we reserve the right to discontinue or modify this offer at any time without notice. We reserve the right to cancel any order at any time. Which deal are you most excited about? When trying to come up with my top 5 favorite movies of all time, I had to think about what movies I could watch over and over again, even if they’re on TV with a crazy number of commercials. The movies I chose are ones that, no matter what, I could watch for endless hours and may have most of the movie memorized. 1. Dirty Dancing – Nothing like the traditional girl meets bad boy who isn’t all that bad after all. I may have spent one summer in my teen years watching this everyday, multiple times a day. I may also know every word by heart. I even may have learned the closing dance at one point. These are all very possible, I’ll let you decide if they are true. Hey, Patrick Swayze, dancing, and good music, what’s not to love? 2. Ten Things I Hate About You – I even remember that I first saw this movie in the theater. I was in 11th grade and I went with the German exchange student that we were housing. I had just broken up with a boyfriend and had hoped it would not be a love story. Alas, it was. But that ended up being okay! Confession, I heart Andrew Keegan. I know, you were expecting me to say Heath Ledger. Yes, of course I heart Heath Ledger too, and was traumatized by his passing, but I didn’t know who Heath Ledger was until this movie came out. I wanted to see this movie, simply because of Andrew Keegan (click the link, he’s beautiful!). Did you know that this movie is based on William Shakespeare’s Taming of the Shrew? Yep! This little tid bit won me a fabulous movie poster which was strategically placed on my ceiling, above my bed, when I was a senior in high school. Thank you to my 12th grade English teacher who also happened to work at a movie rental place (remember those? Blast from the past!). This movie has a lot of memories for me. 3. Jurassic Park – If you would have asked me a few years ago if this was a favorite, I probably would have dismissed it as a good movie, but certainly I loved other movies over this one. Nope. If this movie is on TV, I promise you, I am watching. This movie is fantastic! Great quotes, great moments, suspense, dinosaurs! It’s filled with great little facts too, like the hunting techniques of a Velociraptor or the fact that T-Rex can’t see you if you’re not moving. Plus, it’s a fantastic book too! 4. Pitch Perfect – This is obviously a new addition to my all time list. I was slow to see this movie but I DVR’d it one day and have since fallen in love. I even have a Pitch Perfect Pandora station that I listen to. Anna Kendrick is awesome and Fat Amy? No words for the hilarity of Fat Amy. But really, I think this movie made me develop a bit of a girl crush on Anna Kendrick. This movie is just fun and spectacular all around! Oh, and I can’t wait for Pitch Perfect 2!! 5. Shaun of the Dead – If you remember my post about being prepared for the zombie apocalypse, then you’ll know that I’m a fan of zombie movies, books, and of course, TV shows. This is another movie, that if it’s on TV, I’m watching. I love the comedic aspect to the traditional zombie movie and that there’s actually closure at the end, which most zombie stories leave things kind of open ended. You assume everyone dies, but never really know for sure. Zombies + British comedy = awesomeness. I’ll admit, my favorite movies are quite the range. And, to be honest, there may be ones that, come tomorrow, I’ll decide should have made the list above something else. These ones are definitely up there though, but kind of wish I could have done a top 10 for this list. When I started my blog I was 40 weeks pregnant with M and wasn’t really sure that I would continue once he was born. I was actually writing on a daily basis, keeping everyone posted on my overdue pregnancy state. Little did I know that 2 1/2 years later I’d still be blogging, doing blog reviews, giveaways, all that jazz. I love it! This blog of mine is a fun place for me to escape and get some of the ridiculous thoughts out of my head. I made a lot of newbie mistakes though when I first started out though. Mistakes that could have resulted in Google banning me, Blogger shutting me down, or other bloggers coming at me for stealing images! So. Many. Mistakes! I seriously had no idea though and it wasn’t until I started to pursue blogging as a real thing and a possible source of income (which it’s not for me – yet anyway) that I realized there are actual rules to blogging and maintaining a website. Who knew!? Certainly not me, but thanks to blogging groups and some mentor bloggers, I’ve picked up on some of the rules and I want to share them with new bloggers so you avoid my mistakes. Ethical Images – When I started out, I’d do a Google image search and find something that fit my post. This is not kosher. Those images belong to someone (possibly another blogger) and unless you ask permission, it is a copyright issue. When you do post images that do not belong to you, you need to credit the owner. But, this may not be enough for a regular Google image search. The Pistachio Project encourages bloggers to use their own images, but if you do use other images, make sure it’s done ethically, no stealing! Watermark Images – You’ll notice that any and all images that belong to me have a watermark going through them. They will either say This is my life… (my old blog name), or My Mama Adventure. I also go as far as to place the watermark through my son’s face if he’s on the blog (which is very rare anymore). Thanks to The Median Mommy for reminding me to mention this one! Keyword Images – While we’re on the topic of images, The Median Mommy also suggests giving all your images a relevant keyword name, this helps with search engine optimization (SEO). I’m not great with this, but I’m getting better with remembering this one! Nofollow – Oy! This one still kind of confuses me. However, Princess Among Superheros mentions, in simple terms, if you are receiving or have received a product or were paid to publish a post, then the link needs to be nofollow (‘rel=nofollow’) in the HTML. Examples of links that need to be nofollow: affiliate links, sponsored links, links for products you’re reviewing. I am terrible at explaining the why part of all of this, I just know the when and how so if you want more information on dofollow vs. nofollow, go here. Princess Among Superheros says she learned this one after she started blogging and had to go back through and fix a ton of old posts! No fun! Content is Key – We kind of all get stuck in this trap of trying to increase our numbers, our stats – Google Analytics, Google Rank, Alexa Rank, subscribers, followers…it can be so absorbing! Mama Without a Clue reminds us that “really giving something to your readers, that get them coming in for more than just a giveaway” is how to grow your blog and gain loyal readers. Your content is what will help grow your blog. Giveaways are great and a lot of fun, but remember to focus on content. Word Count Matters – The Median Mommy reminds us that it is best to publish posts with at least a 300-500 word count. This helps with SEO. We all know I have no difficulty with enough words! I’m a wordy gal! No Index – The Median Mommy and Princess Among Superheros also mention that deleting a post is a big no-no. This deletes an entire link from you blog so if that link has been shared or linked up anywhere else, it creates an empty link and a 404 error. No Index makes the page still available via old links, but it won’t come up when searched in a search engine. No Index is what you would want to do for old giveaways that are no longer active and have no other content to them. 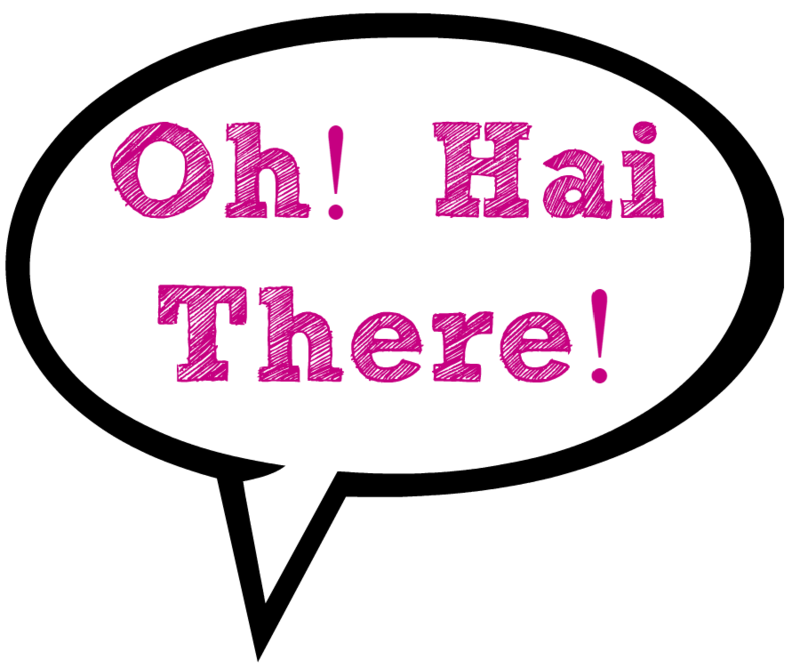 Inactive Links – I’m not speaking of blog posts here or pages on your blog. I’m talking about links within a post that are no longer active or good (e.g., a link that now has a 404 error). This also means old Linky’s or giveaway forms, you’ll want to delete those from the post when they are no longer active. For giveaway forms, it is recommended that you do a screen shot before deleting the link. The screenshot can then replace the link. Big thanks to Princess Among Superheros for this reminder, as well! 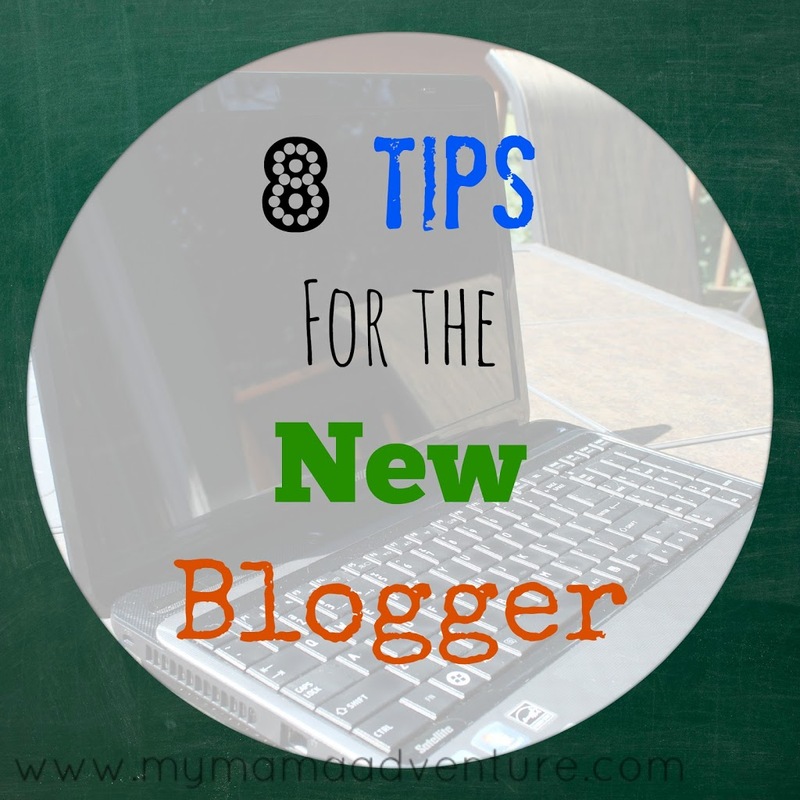 What have you struggled with if you’re a new blogger? Anything else you would add?